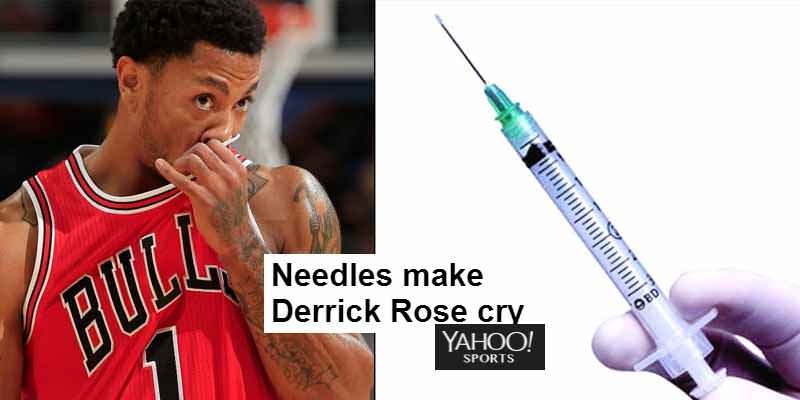 Even before the devastating leg injuries, Derrick Rose had another kryptonite – needles. He had to sit out 8 minutes of a game against Michigan State during his single season at the University of Memphis because he suffered a cut above his right eye and wouldn’t let the doctors stitch it up. Luckily, they were able to glue the wound shut instead and Rose was able to return to the game and help his team get the win.